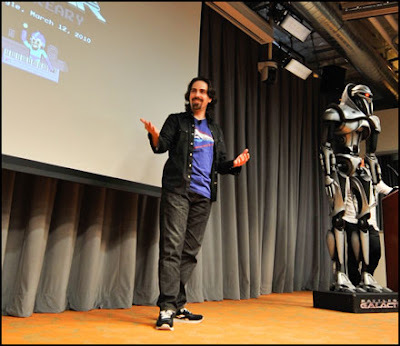 Jason Anders: Before time gets away from us, I really want to make sure we spend a little time talking about Caprica, and the origins of the music you wrote for the series. 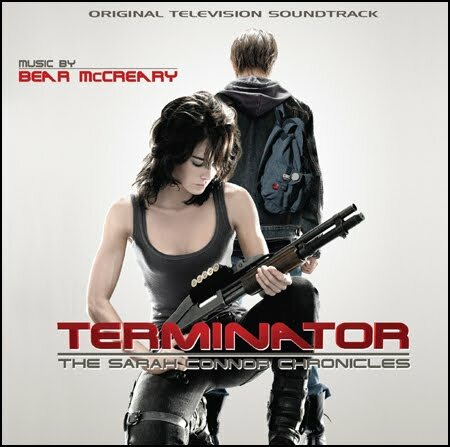 Bear McCreary: Well I could talk for days about that, but to give you the shortened version... Caprica was an interesting time in my career because we were coming off of Battlestar Galactica which had an established fan-base and tone, so I approached it with hesitation and curiosity. I didn't really know what to expect. This was not the move I would have expected, because Star Trek and Stargate sort of established that when you do spin-offs you keep them in the same genre. Caprica went in to a totally different genre... it was still science fiction, but it was a family-centered drama and more terrestrial. It had a lot of differences, but when I saw the pilot I was really blown away. I was very drawn in and excited to work on it. What's interesting is that as the show went on, it became frustrating that I was so many steps ahead of what the audience had seen. I knew during the airing of our first nine or ten episodes that the last five were going to be great. I always had this sense that people may have had trouble finding it, or it may not have been what they expected, but it will find its own audience. SyFy was really pushing it. Those final five episodes didn't really have the opportunity to revitalize the series and get us a second season the way that I had always thought it would. JA: For Caprica you've written an anthem, burlesque, opera, and even rap... have you ever had the opportunity to be that diverse outside of BSG and Caprica for a single project? BM: In terms of musical diversity, nothing matches Galactica... even Caprica. Granted, the things I got to do with Caprica's first and only season were more diverse than what I got to do in Galactica's first season, but it's not a fair comparison. 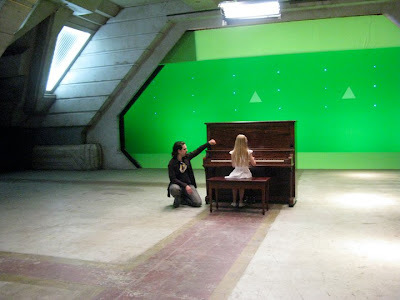 I think that if Caprica had continued there's no telling what sort of music I would have had the opportunity to explore. They really are both special in that way, most of the other series I've worked on have a more unified sound... not to say that those shows don't. Those shows both had a very specific sound, but they also had leeway and freedom to do unusual things. 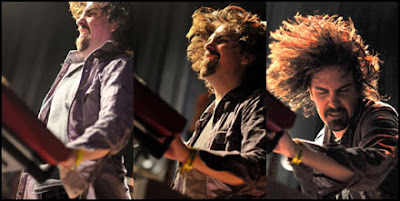 Honestly, probably the closest I've come to that kind of musical playground is The Cape. It's a show where every week our hero comes up with a new super-villain, and each episode has its own identity. It allows me to bring in all kinds of different sounds and themes. Generally speaking, television music is not about exploration but about finding a sound that fits with your show and having every episode match it. The freedom that I have with these shows is not the norm. JA: I think if you were to ask average TV viewers about composers in television they would only be able to list two names, yours and Michael Giacchino- Did you ever imagine or count on becoming a star composer? BM: I never even thought about it. It's never been something that's been on my radar. I've always viewed television, film, and video games as just a common area in which composers work. If you look at the early days of television you had guys like John Williams working on Gilligan's Island and Lost In Space, Jerry Goldsmith was doing The Twilight Zone, Elmer Bernstein had Johnny Staccato, Henry Mancini had Peter Gunn... the list just goes on. These were stunningly talented guys who were working in television and film at the same time. In the late seventies and early eighties you had guys like Mike Post, Pete Carpenter, and Stu Phillips come along. These guys really cornered the market in TV and made outstanding scores, churning out a lot of albums. I have a feeling it was that combined with the technology changing that you suddenly had groups of composers primarily for film and another primarily for television. Although during this time Jerry Goldsmith and Elmer Bernstein would still do music for TV miniseries and movies of the week. Growing up, I never perceived any sort of difference and never thought about being a "star" composer in TV. 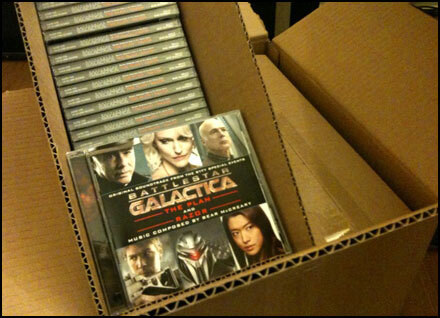 When I got Battlestar Galactica all I wanted to do was serve that sport and help bring the story to life. I never imagined at the time that the music would get the attention it received, that I would be performing this music in concerts around the world, or releasing soundtrack albums that charted as high as they did. Every key was written to tell a story. JA: I think it's fascinating that the music you've done in television has resulted in touring concerts, piano books, albums, and more. Your music for TV is far better than many film scores, as the shows are better than many films. BM: When I do feature films it's not like I change my mindset or orchestration team, we're just making my music. Whether it ends up in a game, television show, or a movie doesn't change the way I approach it or the amount of energy I put in to it. Very frequently I see albums and scores that I have done ranked highly on Best Soundtrack lists and winning various awards. I was on those lists with people who's budgets were ten times my size, multi-million dollar movie scores. It makes me smile that the music is resonating with people and that they're responding to what I'm doing. JA: You've mentioned before that the first soundtrack to catch your ear was Alan Silvestri's Back to the Future score- Can you elaborate on what it was about that music that got your attention? BM: I think the obvious thing about that score is melody and energy. It really is unique. It was a style at the time to have really big orchestral scores in your adventure movies, a style that has kind of gone out of favor. 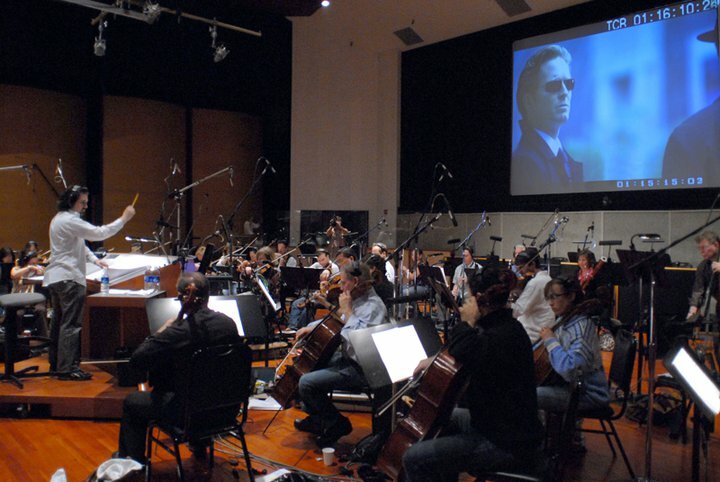 Generally speaking, orchestral scores blend into the background a little bit more. Not only did Alan Silvestri's score not blend into the background, it reached out of the screen and shook you by the shoulders and said "pay attention to this!" I saw it multiple times in the theater and it stunned me when it came out. I didn't know that soundtrack albums existed at the time, so I would sneak in my cassette recorder and taped the movie so that I could go home and listen to it and pluck the tune out on my piano. Keep in mind that I'm five years old when I'm doing this. Clearly that movie and its music was very high on the list of things I was aware of in the world. JA: Are there any current scores out there now that have caught your ear or you've grown to love? BM: I really enjoy Carter Burwell's score for True Grit . Ironically enough it reminded me of music that Elmer Bernstein might have scored, and he did the music for the original True Grit in 1969, but it doesn't sound anything like Elmer's True Grit, it just sounds like other things he has done in that style- Very restrained and folky, and it fit the movie perfectly. It really was inspiring, and Carter is one of those few guys who's music I always know I'm going to enjoy. JA: Do you have a personal favorite piece of music that you've written? BM: If I were to try an narrow it down, the nominees would include "Diaspora Oratorio" from Battlestar Galactica's fourth season. That piece for choir and orchestra was not only special musically for me, but it was at an important a vulnerable time in my life... I created something there that really represents "me" in a very personal way. Similarly I think "Dreilide Thrace Sonata No. 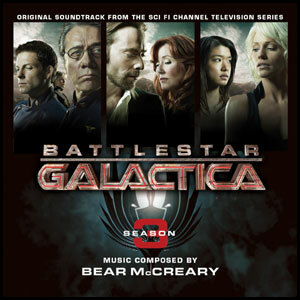 1", which was a big piano composition I wrote for BSG's season four episode Someone To Watch Over Me... I actually wrote that in Vancouver while I was on the set. During the day I'm working with the cast and crew, and at night I'm back in my hotel hammering out this piano piece that Katee Sackhoff is going to end up learning. If you listen to those two pieces they are musically sophisticated beyond the vast majority of everything I've written. JA: I love the theme that you created for The Plan. BM: That was a good one! 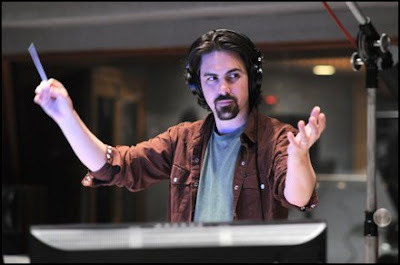 I loved that one because I realized while scoring The Plan that I had a unique opportunity because the final episode of the series does not end with a piece of music that I wrote. I didn't have the chance to have the final say. 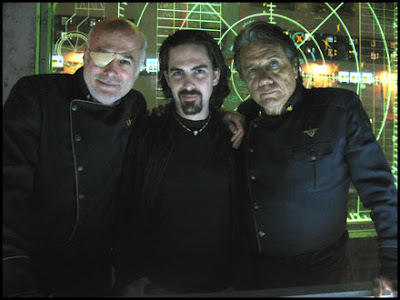 I realized the ending credits of The Plan was truly the ending of Battlestar Galactica, and I had a four and a half minute empty space to write whatever I wanted. It was a fun opportunity to write something that re-capped the energy of the entire series into one piece of music. I set the main title theme to a heavy metal, rock and roll piece... it was exciting. We actually had Scott Ian from Anthrax and John Avila & Steve Bartek from Oingo Boingo all on the same song! 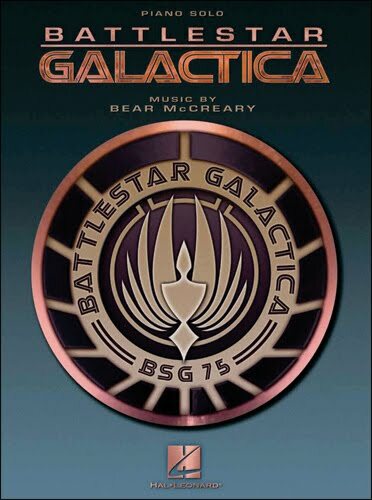 JA: Do you think the live concert for BSG music will be released on DVD? BM: We released a collection of six songs for a UK DVD, but I am hopeful that sometime in the next year we'll be able to release a DVD of the entire show. 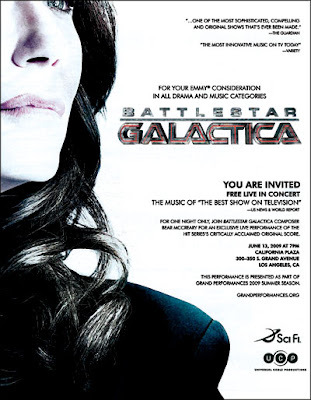 The mixes sound great and the performances are so energetic, and it's something that I know BSG fans really want. 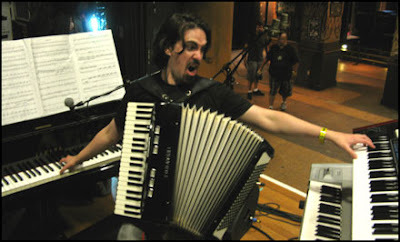 JA: How has the reception been for the new piano book you just released? 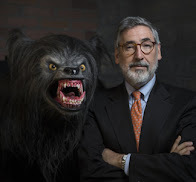 BM: The reception has been phenomenal, I've been thrilled with how excited people are... it really was thanks to fan enthusiasm that this thing even existed at all. When we first approached the publishers who have the rights to this music they just didn't seem very interested in doing it. I went on Twitter and asked people to let me know if they'd pick it up if it came out. Within a few hours I had around 500 responses. I was able to say to the publishers"just imagine who else is out there." JA: What do you enjoy doing most when you're not making music? If you even have spare time. BM: Most of the things I do in my spare time are kind of work related. I'm a big movie buff and a gamer. I don't have a lot of spare time, so that's kind of a hard question to answer. JA: Being a movie buff, what are your three favorite films of all time? BM: You're asking such hard questions! These are not my top three, but I would put them in the top somewhere... I've always loved Aliens. Highlander is one of the main reasons I got into music, that movie rules. I'm a big Lord of the Rings buff, Back to the Future and The Godfather trilogies. It's impossible to say. My DVD shelf contains thousands of DVDs. I never have enough time to watch them all, but I love movies. 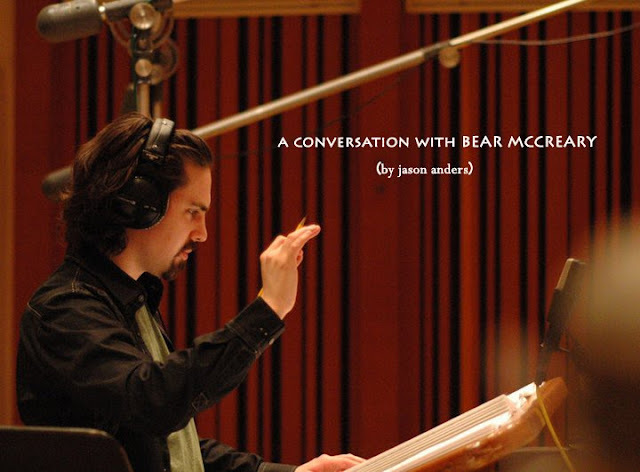 JA: When you're scoring for a project, do you find yourself typically emotionally connected to the story, and is difficult to write when you're not connected in that way? BM: I have to be. Writing music is kind of like method acting, I'm not good enough to fake the emotion. My skill and craft will only take me so far. If I'm writing a sad piece of music I really have to put myself in that mindset. There are times when I'm working on a story that is so good that it genuinely makes me feel that, if it doesn't then I have to conjure up that emotion anyway. Conjuring up emotions really helps ideas to form. JA: Finally, what are three film scores that you love? BM: Elmer Bernstein's To Kill a Mockingbird is one of the most beautiful pieces of music ever written when looking at it as a whole. It was so ahead of its time- If you listen to that now and close your eyes not knowing who wrote it, it sounds like it was written today. Another would be Conan the Barbarian by Basil Poledouris. There's an energy to his music that I drew from frequently with Battlestar Galactica. The ethnic flavor really caught my ear, it was one of the first that I saw as a kid that had ethnic sounds. It planted a seed in the back of my brain. A third would probably be Alien by Jerry Goldsmith. The way it plays on the album works as the vision he had. The end result ended up being very different. He wasn't thrilled with the way it sat in the movie, and I can't blame him because he had a very different idea, but musically it is just so gorgeous, and in terms of pop culture it's so iconic. Some others would be Star Trek: The Motion Picture by Jerry Goldsmith, The 'Burbs by Jerry Goldsmith, Alien 3 by Elliot Goldenthal, Batman Returns by Danny Elfman, The Mission by Ennio Morricone, and also the music of Bernard Herrmann from all the Hitchcock films. I listened to these composers and these scores long before I ever listened to pop music. These are the sounds that are in my DNA.